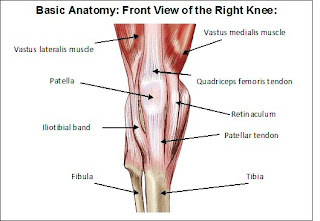 It can be noticed an imbalance between the lateral and medial patellar forces (vastus medialis obliquus – VMO – dysfunction, or lateral structure tightness), by asking the patient to perform a single leg squat and stand, which is manifested by an abrupt medial deviation of the patella as the patella engages the trochlea early in flexion (the “J” sign). The term “J sign” describes the patella with poor tracking. In most individuals, the patella seems to move straight proximally, with a slight lateral shift near terminal extension. Instead of moving superiorly with knee extension, the patella suddenly deviates laterally at terminal extension, as it exits the trochlear groove, creating an inverted J-shaped path. The cause of this patellar tracking can be caused by a vastus medialis oblique deficiency, underlying bony morphology (trochlear dysplasia, patella alta), or an imbalance of medial and lateral soft tissue constraints. According to Brattstrom, the Q-angle is a measure of the patellar tendency to move laterally when the quadriceps muscles are contracted. The greater the angle, the greater this tendency. Aglietti et al have described one method of measuring the Q-angle: “The patient is in a supine position with the knees extended and the legs relaxed. The Q-angle is formed by the line connecting the anterosuperior iliac spine to the center of the patella and the line connecting the center of the patella to the middle of the anterior tibial tuberosity”. Fulkerson studied the localization of pain in 78 knees in patients with PFPS. 90% of those patients referred pain in some portion of the lateral retinaculum, which 27% had pain in the vastus lateralis insertion or epicondylopatellar band. The other 10% subject’s knees were solely painful in the medial patellofemoral joint. For the palpation of the patellar retinaculum, Fulkerson describes as follows: with the knee in full extension, portions of the lateral and medial knee retinacula are palpated gently to see if there is an obvious source of pain in any location. The patella should be displaced medially and laterally, stressing all portions of the peripatellar retinaculum to see if this reproduces pain. Evaluation should also include careful palpation of the vastus lateralis tendon insertion into the proximal patella. The patellar tilt test assesses for tightness of the lateral structures. Boden et al have demonstrated that excessive lateral tilt of the patella can lead to decreased medial patellar mobility and abnormally high forces between the lateral facet of the patella and the lateral trochlea. Grelsamer and McConnell describe that the patellar tilt test can be performed in the supine position with the knee extended and the quadriceps relaxed. The degree of medial and lateral patellar tilting is determined by comparing the height of the medial patellar border with the lateral patellar border. This can be done by placing the thumb and index finger on the medial and lateral border of the patella. Both digits should be of equal height. If the digit palpating the medial border is more anterior than the lateral border, then the patella is tilted laterally. By the contrary, if the digit palpating the lateral border is more anterior then the medial border, the patella is tilted medially. I can also be performed by compressing the medial aspect posteriorly while the lateral aspect is elevated. If the lateral aspect of the patella is fixed and cannot be raised, the test is positive. Mediolateral glide is another measurement of static patellofemoral orientation. McConnell says that the glide component is examined by use of a tape measure to record the distance from the midpatella to the lateral femoral epicondyle and the distance from the midpatella to the medial femoral epicondyle. The patella should be equidistant (+/- 5 mm) from each epicondyle when the knee is flexed 20 degrees. However, Powers et al used magnetic resonance imaging to measure the mediolateral patellar displacement described by McConnell. The agreement between the clinical and magnetic resonance imaging and the mediolateral patellar displacement revealed to be poor, showing that the average degree of lateral patellar displacement determined by the clinical method was more than twice the position of the patella as determined by magnetic resonance imaging. Therefore, clinicians should be careful not to overestimate the results of the mediolateral glide described by McConnell. The patellar mobility test measures the passive patella range of motion. According to Puniello, there is an association between patellar hypomobility and a tight iliotibial band (ITB). Lateral patellar hypermobility is correlated with laxity of the medial patellofemoral ligament or patellomeniscal ligament, and is often associated with patellar subluxation. Kolowich et al. In the patella glide test, the patella is translated medially from the rest position. 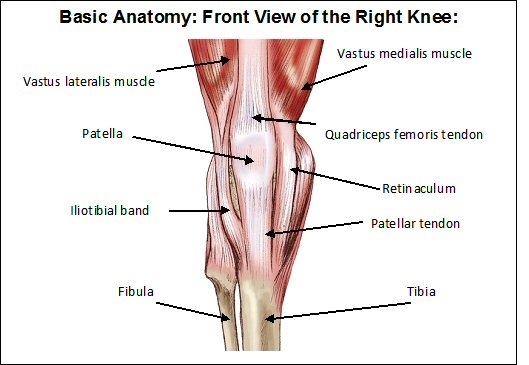 Imagine the patella vertically divided in four quadrants. Displacement of less than one quadrant medially indicates tightness of the lateral structures. Displacement of more than three quadrants is considered hypermobile. The patellar apprehension test is used to assess for lateral instability. According to Hughston, this test is carried out by pressing on the medial side of the patella with the knees flexed 30 degrees and with the quadriceps relaxed. This should be done with the thumbs of both hands, to exert a direct pressure. The test is positive if the patient becomes uncomfortable and apprehensive as the patella reaches the maximum passive displacement, beginning the patient to resist and attempting to straighten the knee. Tanner et al suggested a modified version of this test, by displacing the patella in a lateral direction. The patellar compression test is performed with the patient in the supine position with the knees extended. The examiner then moves the patella superiorly and inferiorly while compressing the patella against the femoral groove. The test is considered positive when pain occurs. Several studies show that PFPS is frequently associated with deficits of flexibility of the lower limb, specially the quadriceps. According to Witvrouw et al tight quadriceps muscles create high patellofemoral stresses during sports or activities of daily living. The measure of quadriceps tightness, described by Post can be performed by flexing the knee with one hand, and stabilizing the pelvis with the other, with the patient in prone position, by bringing the heel as close as possible to the buttock and measuring the distance from the heel to the buttock and comparing with the opposite side. Tightness of the iliotibial band (ITB) and the quadriceps have been shown to be a risk factor for PFPS. Winslow and Yoder, in a study of 12 ballet dancers, suggested that a tight ITB pulls the patella laterally during the flexion of the knee. The flexibility of the ITB can be assessed by the modified Ober’s test, described by Kendall et al, where the patient lies on his side with the leg to be tested superiorly. The examiner grasps the ankle slightly with one hand and steadies the patient’s pelvis with the other hand. The upper leg is then extended backwards out of the table. If there is any tightness of the ITB the leg will remain more or less abducted passively. Quadriceps muscle weakness is commonly seen in patients with PFPS. Callaghan and Oldham have reported that the peak extensor torque of the affected knee was 18,4% lower, and the cross-sectional area was 3,4% lower, when compared to the contralateral knee. Thomeé et al found a 17% strength deficit in patients with PFPS when compared with patients without PFPS. However, some studies do not show decreased quadriceps strength in patients with PFPS. Ireland et al found that, in 15 patients with PFPS, that they were 26% weaker in hip abduction and 36% weaker in hip external rotation, when compared to the other side. The first step to reduce pain in the patellofemoral joint and surrounding soft tissues is the reduction of the loading. If resistance training exercises are the cause for the PFSP, ceasing of specific exercises, such as squats and lunges are indicated. Runners should reduce to a level that does not provoke pain (while running or the day after running). Excessively worn or inappropriate footwear may also contribute. In alternative, other activities could be used to maintain fitness, such as bicycling, swimming or the use of an elliptical trainer. Ice should be used after activities to reduce pain. Heat is not recommended. In spite of this ceasing or lowering the level of activity reduces the pain, treatment is necessary to prevent recurrence. Several studies have shown physical therapy to be effective in the treatment of PFPS. However, there is not an only rehabilitation program effective for all patients. Because there is no single diagnostic test for PFPS, Merchant recommends that the diagnosed be based on a cluster of objective findings from physical examination. The rehabilitation program should be focused on correcting the malalignement of the patella. Some patients may need strengthening of the quadriceps, other may have excessively tight lateral structures or poor quadriceps flexibility, which can be treated by soft tissue techniques and flexibility exercises. Because PFPS often is related to overuse, recent changes in activities, frequency, duration and intensity of training should be noted. Other possible causes can be due to inappropriate or excessively worn footwear and lower extremities resistance training and conditioning activities (squats and lunges). Because the diagnosis of PFPS cannot be determined by any single test, multiple evaluations are recommended. The evaluation of generalized ligamentous laxity, a hypomobile or hypermobile patella, tenderness of the lateral patellar retinaculum patellar tilt or mediolateral displacement, decreased flexibility of the ITB and quadriceps, and weakness of the quadriceps, hip abductor, and external rotator are recommended to reveal factors contributing to PFPS and patellofemoral malalignment.